Buying gifts for friends and family can be difficult, but there is a surefire way to get them something they will both love AND use. By using their hobby you can ensure you’re giving them a relevant gift that applies to what they enjoy. So if you have a friend or loved one that enjoys nothing more than paddling across the water on a kayak or canoe and you feel a little lost as to what to purchase for them, with the help of this guide, picking the right gift may just be easier than you think. Here are our top 15 picks for the best gift ideas for kayakers, and some tips on what to look for when choosing! The Onyx MoveVent Dynamic Paddle Sports Life Vest provides a comfortable solution to secure yet relaxing safety for kayakers. This life vest provides plenty of room for dynamic movement, still fits like a glove, and keeps cool through vented channels. 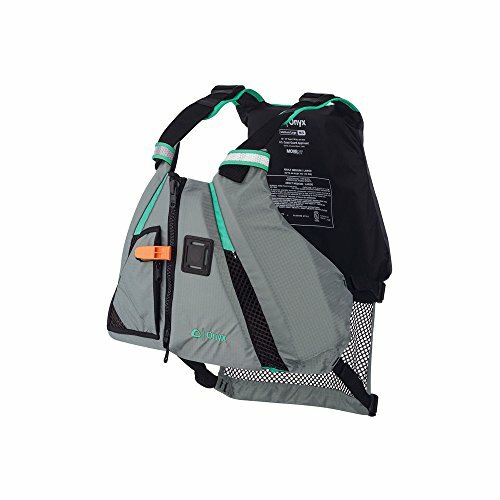 This life vest comes in three different sizes and four different colors. It has a useful drying loop for hanging, zipper pockets with drainage so users can store tools and accessories easily, and it even has a whistle for emergency situations if needed. What more could one want out of a life vest? 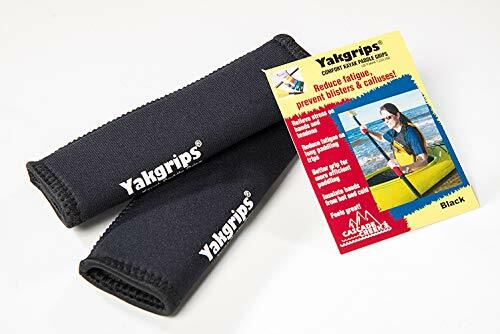 The Yakgrips No-Slip Waterproof Kayak Paddle Grips are an essential tool for allowing easier, more enjoyable comfort when paddling. These grips prevent the hands from developing blisters, calluses or injuries thanks to their cushy design. This works because the pressure is gently relieved from tendons and the palms without affecting the security of your grip. These kayak paddle grips are very easy to install and are quick-drying, so they recover quickly from being wet. They are designed to perfectly fit the shape of a hand, reducing tiredness and fatigue so your giftee can paddle for as long as they want! 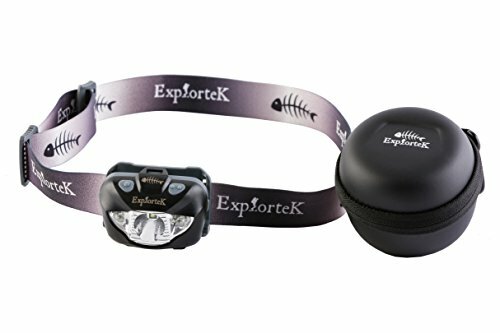 The Explortek LED Headlamp Flashlight is one of the brightest products of its variety in the market today. Its high beam can completely cover the whole length of a football field. With just 2 buttons, it’s a product that is extremely easy to use! With durable, good-quality materials, this headlamp provides hands-free light with different settings, including flashing SOS lights and has a battery life of a whopping 120 hours. On top of all that, there’s a lifetime warranty on it, so it’ll be put to use for years! Perfect for the fishing kayaker, the Seattle Sports Kayak Catch Cooler provides an easy and convenient way to store their caught fish. It makes use of a heat-reflective outer body that is highly efficient thermally, and it is insulated with closed-cell foam. This catch cooler is very easy to clean and contains a pull-out fish bag that allows for more versatility when kayaking and fishing. It has a large 18 liter capacity, allowing it to hold a huge amount of catches reliably. This cooler is also extra durable, resistant to wear and tear, and keeps fish fresh safely. Ask any kayaker what they can never have too much of, and the answer will probably be a proper waterproof dry bag. The Såk Gear DrySåk Waterproof Dry Bag provides unparalleled protection in all forms of weather thanks to a highly heavy-duty PVC with a 500-denier make. 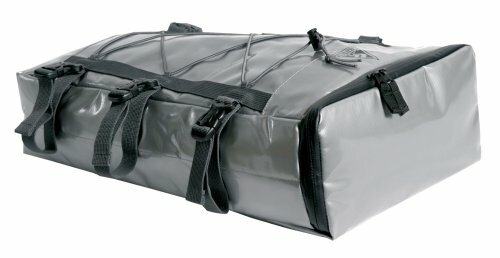 Its seams are welded shut and its entire purpose is to keep kayaking and boating gear well protected. This waterproof bag even has a neat reflective trim in certain areas that allows a kayaker to be seen easily at night, keeping that safe. 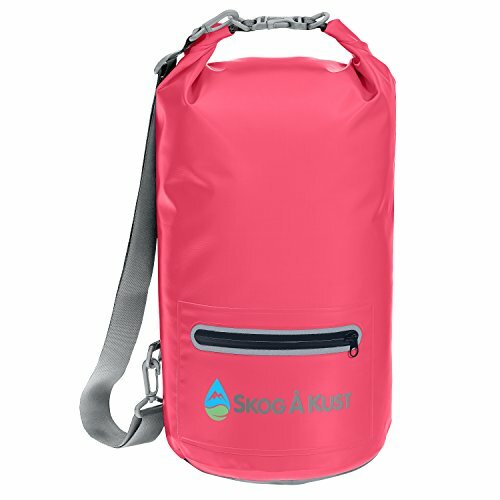 It comes in 10 liter and 20 liter sizes and all varieties come with a lifetime warranty! 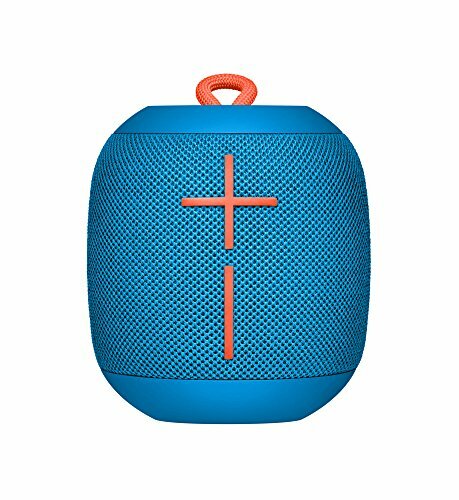 The Ultimate Ears WONDERBOOM Waterproof Super Portable Bluetooth Speaker is an FCC regulated device that provides IPX7-rated waterproof reachers. With 10 hours of battery life, this speaker can easily play audio while someone is kayaking without taking any water damage. This waterproof bluetooth speaker can connect to a device up to 100 feet away and plays completely crisp and crystal clear 360-degree audio. It’s an easy way to keep a kayaker occupied and let them enjoy their music, podcasts, and more without worrying about getting shocked or damaging the device. First aid is crucial in any form of sporting excursion, kayaking included. This waterproof first aid kit is filled with a shocking 175 valuable medical supplies which are all hospital grade. Despite how much it holds, this first aid kit is still relatively small and compact, and it is also very lightweight, making it easy to bring along. 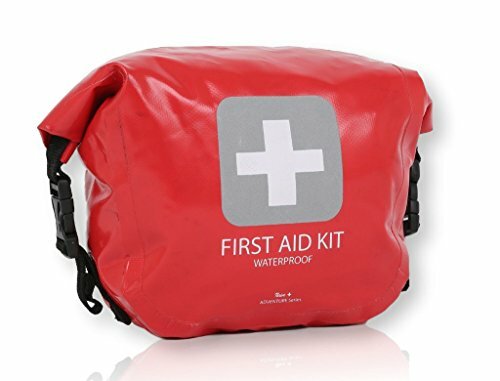 This waterproof first aid kit is fashioned from a rip-stop vinyl fabric and is very strongly water resistant. It has a reflective body that is easy to spot and complies with OSHA and ANSI standards, making it perfect in most environments. If it’s a small, simple trinket of a gift that you seek, then why not opt for a kayak keychain? With five different color selections available, you’ll be able to buy something relevant to your giftee that they will aesthetically enjoy! 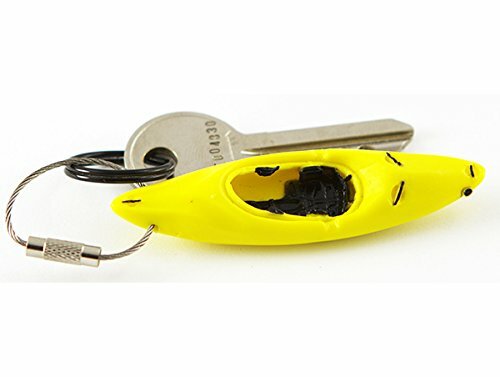 This kayak keychain is made from a highly flexible PVC plastic that is extremely durable, allowing it to be used for years without suffering wear and tear. The amount of detail on this keychain is fairly impressive, too, as there is nothing it leaves out. It looks like a real, shrunken down kayak! Sitting in one place for long periods of time can cause quite a bit of pain in the back and lower body, especially in older individuals. The Leader Accessories Deluxe Kayak Seat is a special seat made from molded foam. It is designed with connecting snaps made from marine grade solid brass and has four straps: two in front and two in the back. 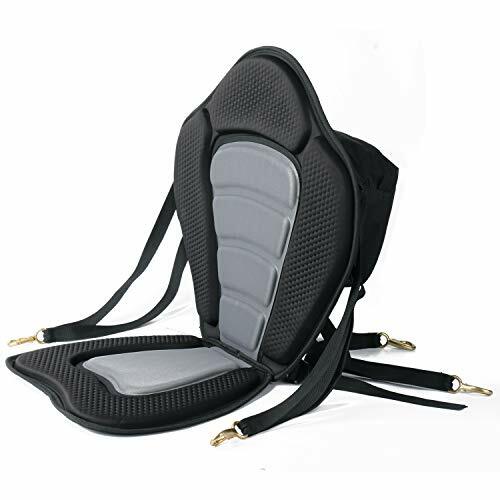 This kayak seat provides high levels of support and comfort for the back and lower body. With adjustable webbing and an adaptable form, there’s no way your giftee won’t be able to make use of this seat. Visibility is crucial in ensuring the safety of a kayaker. 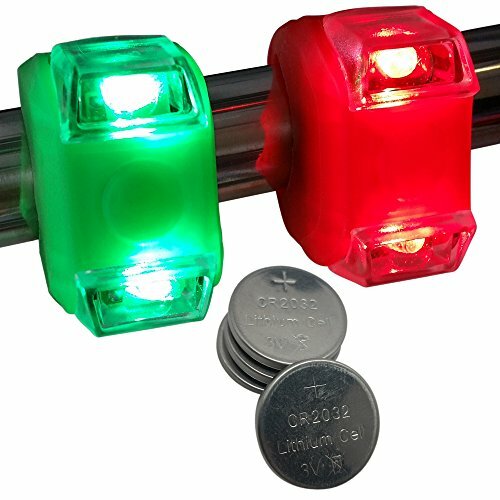 The Bright Eyes Green & Red Portable Marine LED Boating Lights provides this with three extremely bright and reliable light modes. This includes a singular solid brightness, an emergency strobe light, and a slow blinking mode. These boating lights are encased carefully in a silicone sleeve that allows them excellent water resistance. They are highly portable and lightweight, allowing for easy carrying and mobility so they can be easily brought around. Although simple, they are certainly highly effective in their function! Absolutely no one wants their phone to fall into the water and wind up completely dead. 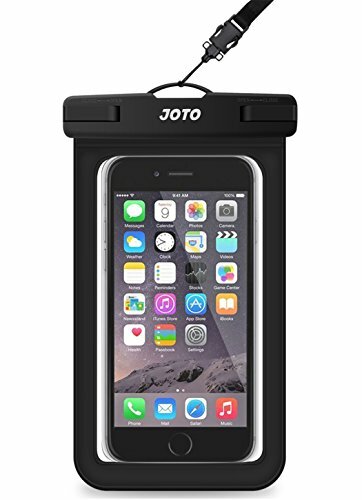 The JOTO Universal Waterproof Cellphone Pouch can help with that! Thanks to its universal size, it fits a wide majority of different mobile phones measuring 6 inches diagonally or less. This waterproof pouch ensures perfect waterproof function and allows for users to continue to interact with the phone from inside the bag. And it’s not just phones that can make use of it! Money, small wallets, and even credit and ID cards will be safely stored in here. For a kayaker who stops to go snorkeling, fishing, or just to pause and read out on the water, a proper anchor system can be invaluable. The Airhead Complete Folding Grapnel Anchor System provides a 3 and a half pound folding anchor that easily keeps its grip and hold even in sandy, muddy, or rocky ground. This anchor system is compact enough to fit in small spots and even under seats. 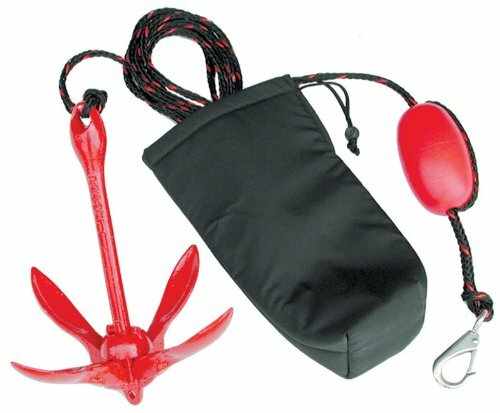 Its storage case is made from rugged, durable nylon and the rope tied to the anchor is 25 feet long and of marine grade. The Palmyth UV Protection Fishing Fingerless Gloves are made with special certified SPF UV protection with UPF 50+. These help keep hands safe against sun damage. These gloves are made partially from synthetic leather, which provides good grip over paddles and keeps the skin safe from blisters. These fingerless gloves are made with stretchy and breathable fabric that dries quickly and easily. They are also machine washable, so they are easy to clean and wash after strenuous activity and use. 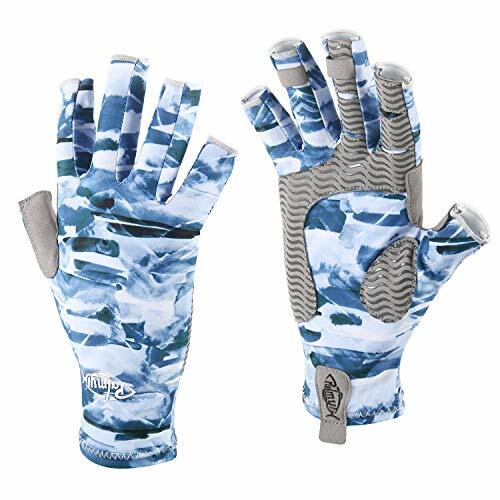 Due to their fingerless design, these gloves are very easy to move around in and allow a user to maintain dexterity when wearing them. 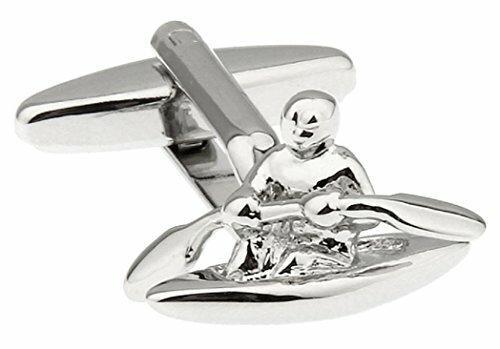 For a kayaking enthusiast who likes to get a little fancy, look no further than these MRCUFF Kayak Pair Cufflinks. Overlaid in a bright silver tone, they are perfect for French style cuffs and make great conventional gifts with a unique twist. These cufflinks are stylish, fashionable and durable. It’s a great way for any enthusiast to flaunt their favorite hobby right on their sleeves! For easy gift-giving purposes, these cufflinks even come in a beautiful and sturdy presentation box, and they have their own special polishing cloth made from microfiber for easy cleaning. 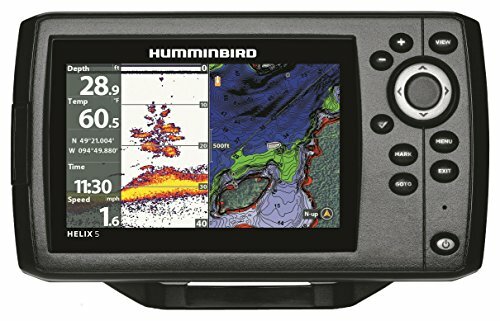 If you have the cash to spare and have a big gift budget, the Humminbird 410210-1 Helix 5 Chirp GPS G2 Fish Finder is the perfect tool for a fishing kayak rider. With a 5-inch color display, it reveals the locations of fish under water and can be easily interacted with to mark docks, hot spots, and waypoints. This fish finger comes in plenty of different models and will guarantee that no fishing kayaker will ever return home empty-handed. It’ll boost the confidence of fish-loving giftee and allow them to easily find their way around a fishing spot without so much as a second thought. It goes without saying that a good gift for kayakers would be waterproof or, at the very least, water resistant. You’ll want a product that will stand up to harsh environments without suffering damage or becoming dangerous to use. A gift that keeps a kayaker safe on their adventures is a good gift indeed! It sends a message that you are concerned for their welfare and want them to enjoy their travels and come back unscathed. Seeing as safety can never be taken for granted, even if a kayaker already has a certain safety tool, it won’t be long before they need to replace it with something new and undamaged. As such, safety tools are always a good option when gifting to kayakers! When someone is heading out onto a lake with a small boat, they’ll need items that are compact, lightweight, and easy to bring along. No matter how cool an item is, if it’s too big, it will likely have to be left behind. Opt for something small enough for a compact backpack, or find out what the giftee brings with them and choose something that will fit. Some people go out to kayak just for fun and to enjoy nature. Some do it to go fishing. Some do it to burn off steam. Some like to paddle out and go snorkeling. Find out what the giftee in question goes kayaking for and purchase items that comply with that specific hobby. At the end of the day, no matter who you’re buying a gift for, you don’t want to skimp on quality. Make sure what you’re buying feels sturdy and durable and will last them a long, long time to come. Opting for cheap and flimsy things never looks good, even if it’s the thought that counts.